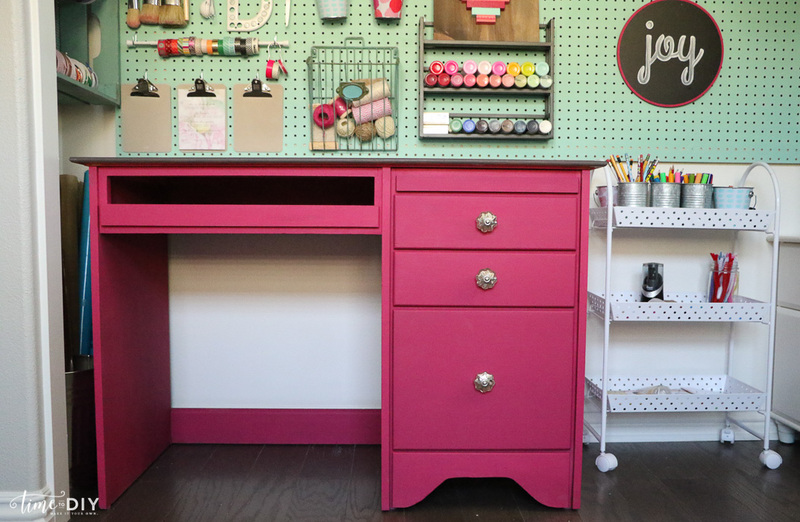 It all started with this desk: The pink desk makeover that sparked a craft closet. 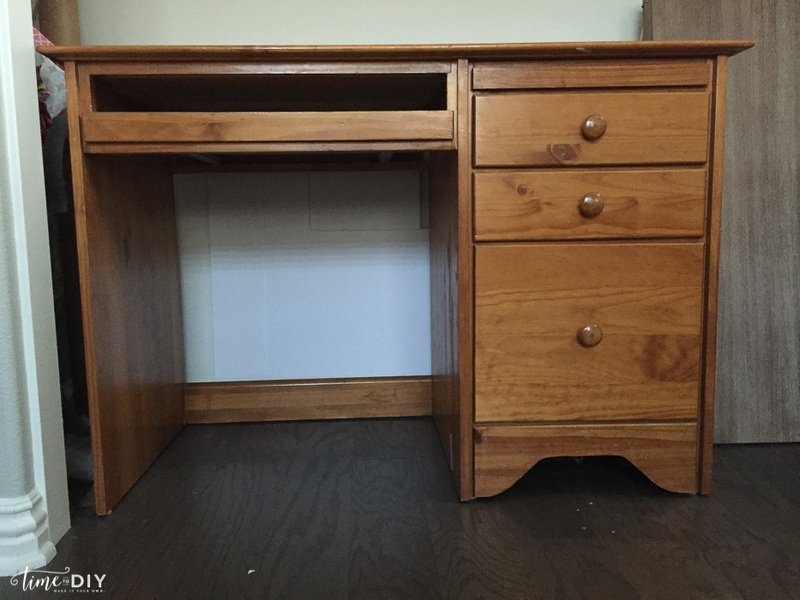 My son’s sweet kindergarten teacher asked if we needed a desk and I didn’t initially know what to do with it, but I can never turn down furniture. Then my five year old got into paper crafting and origami and he was infringing on my crafting table so I decided to transform our guest room closet into a craft closet for him. Well, for us. 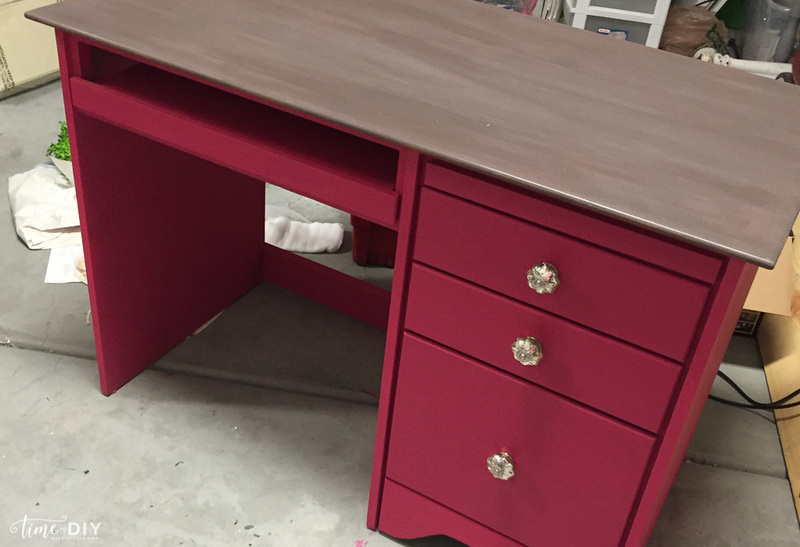 But I couldn’t figure out a color scheme so the desk sat in the garage for six months. I’m embarrassed to admit that, but it sometimes takes me that long to figure out colors and get inspired. But then Michaels had a 50 percent off sale on the new Cre8ate Space line and I knew what I had to do. 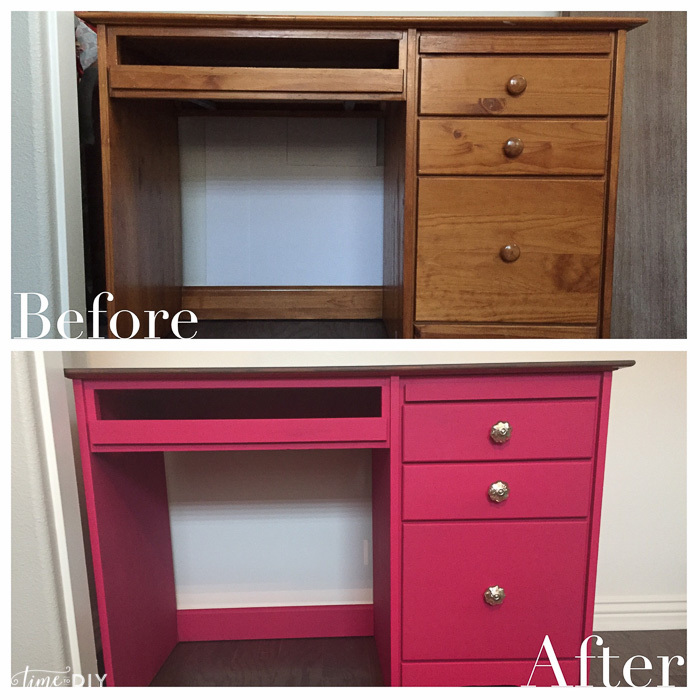 I’m always inspired by Classy Clutter‘s use of pink, so this was my chance to go for it! 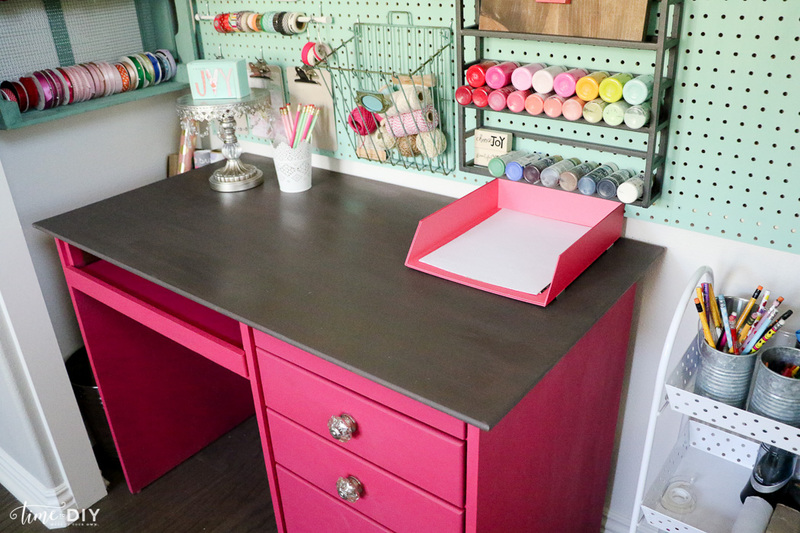 I will get into my craft closet transformation and organization later, but this is how the desk makeover went down. 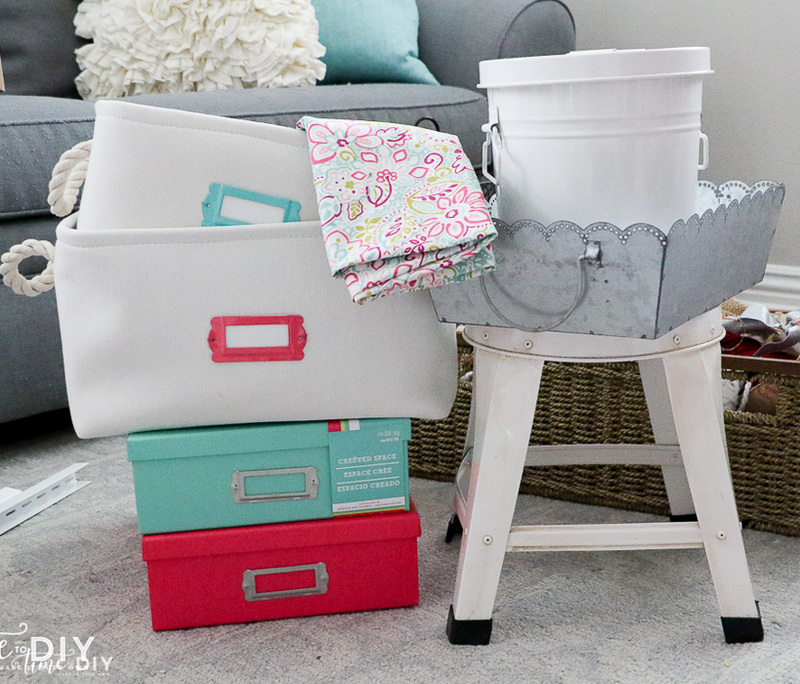 I used BB Frosch chalk paint powder because you don’t have to prep or sand and you can choose any color to mix it with. 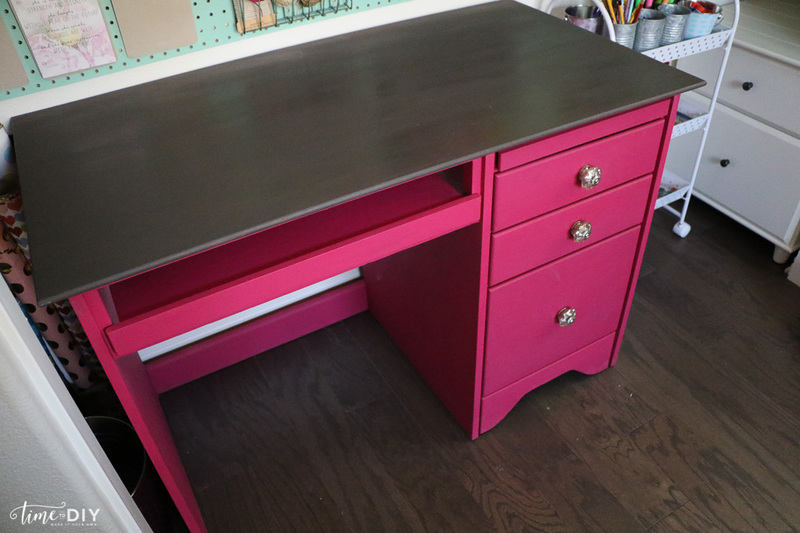 But it wasn’t dark enough so I went a shade up and did Behr “racy pink” – because who doesn’t want a craft desk in racy pink? 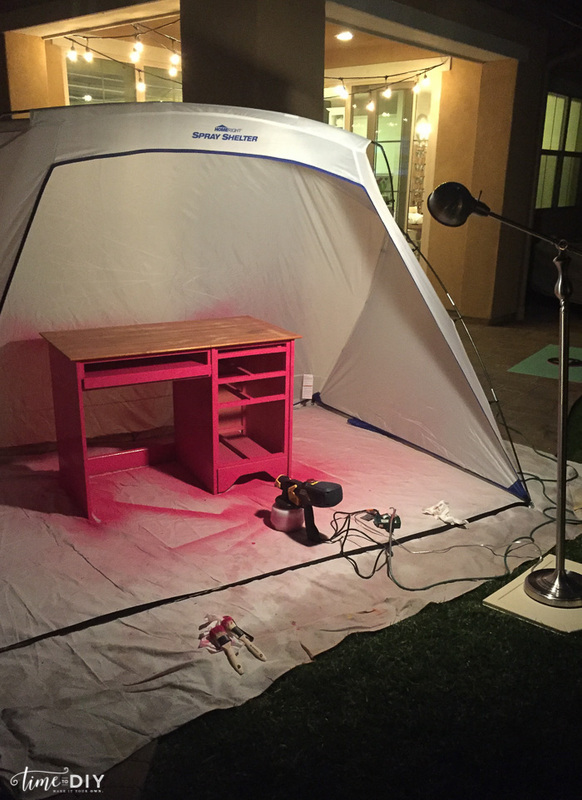 My bros recently got me a Wagner paint sprayer that doesn’t need an air compressor (woot!) 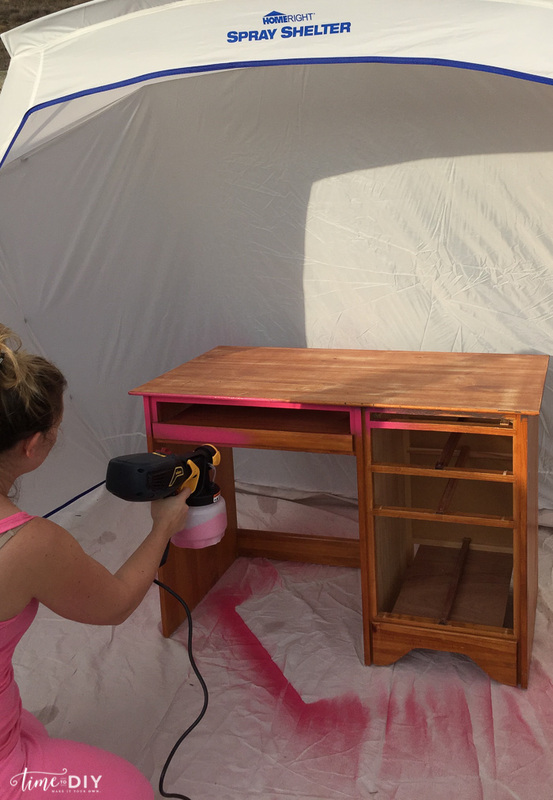 so I decided to give it a whirl with the Home Right Spray Shelter. Heather from Whipperberry has used it so I wanted to give it a try. 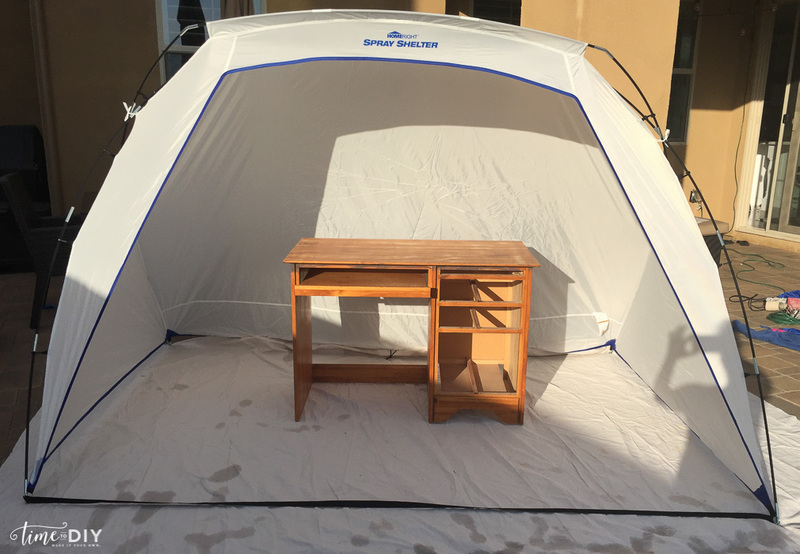 It would be great to set up in a garage, but mine is currently a mess so outside had to do. For a paint sprayer, BB Frosch recommends this one for use with chalk paint: HomeRight Finish Max Sprayer. After this picture I realized I needed my mask. 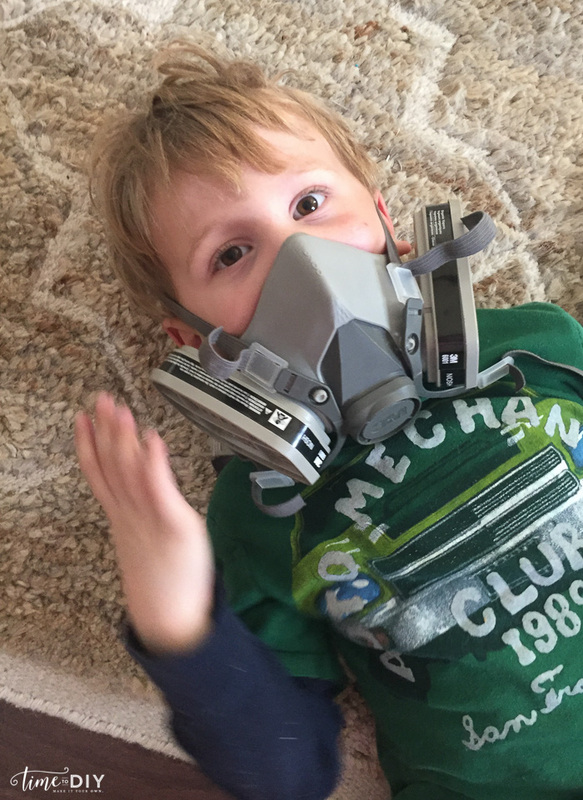 Here is proof that I did wear it after my son finished playing with it. Loved the sprayer! I was pretty impressed with how quickly I got this painted. I used the brush to get into some of the corners. I did three coats, but since it was cold that day (Like 50 in SoCal – gasp! ), I eventually had to use a hair dyer to help it dry faster. 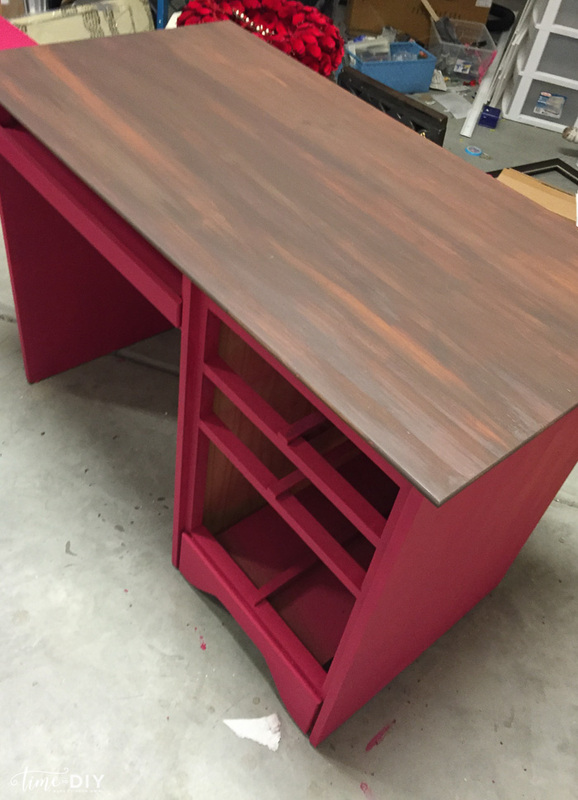 Then it was time to faux stain the top. 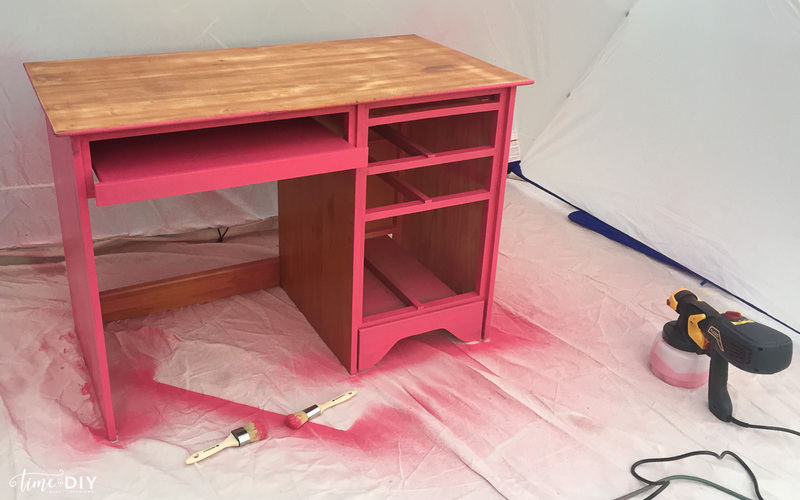 I had to sand it so the paint would soak in for a more stained look. 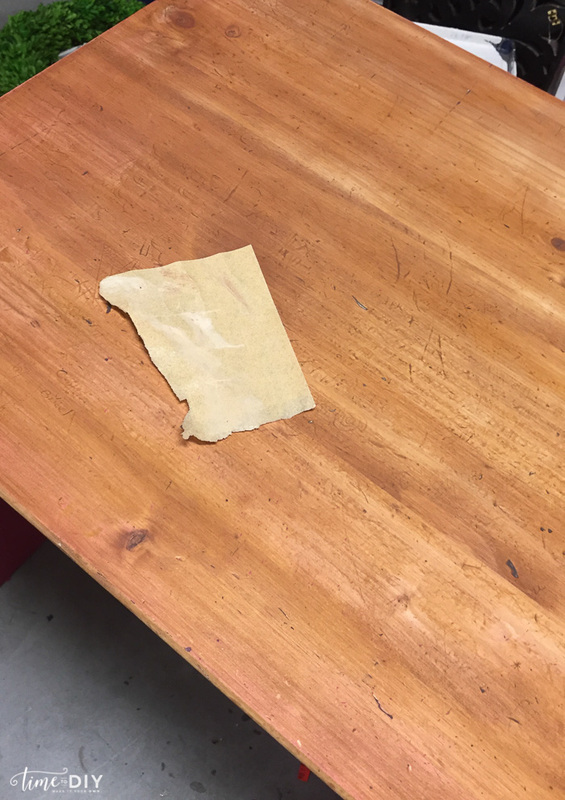 More on the faux stain technique here. 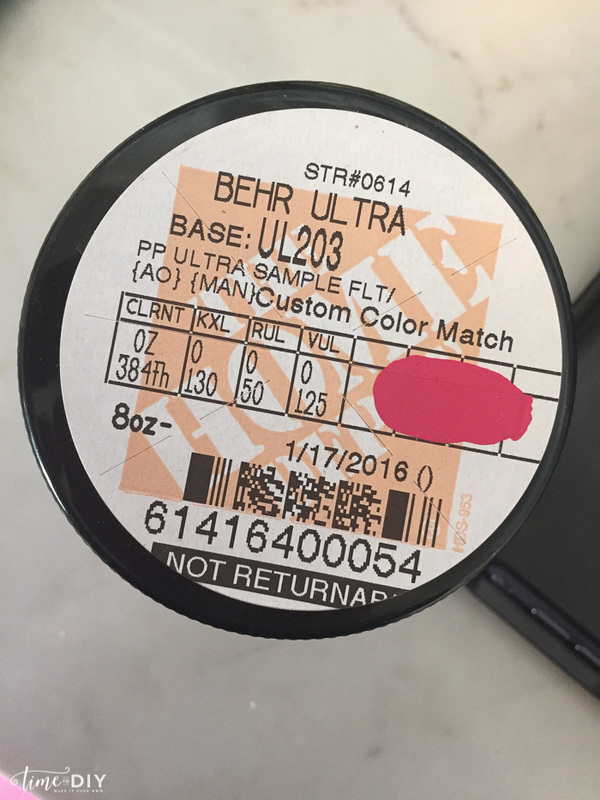 I used Behr Stone Gray paint. 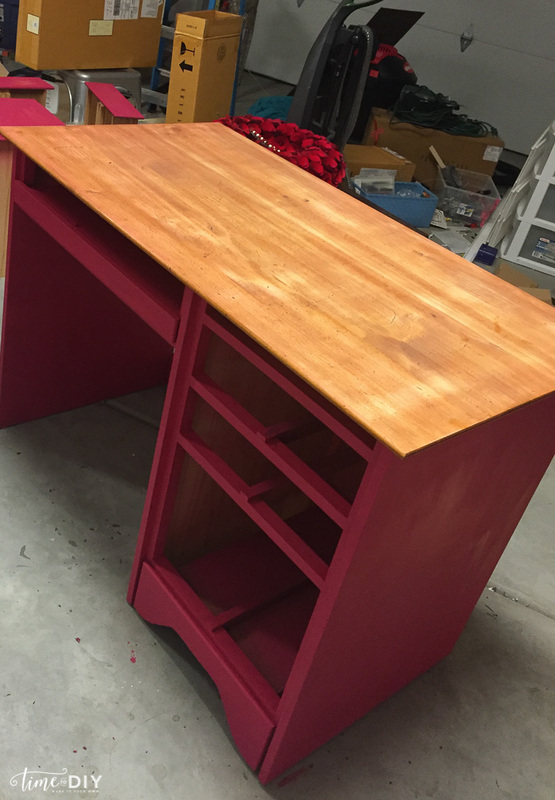 But it was pulling a little too much red, so I ended up doing a little more paint and less stain. But it still has a bit of a textured look. I sealed it with BB Frosch clear wax. 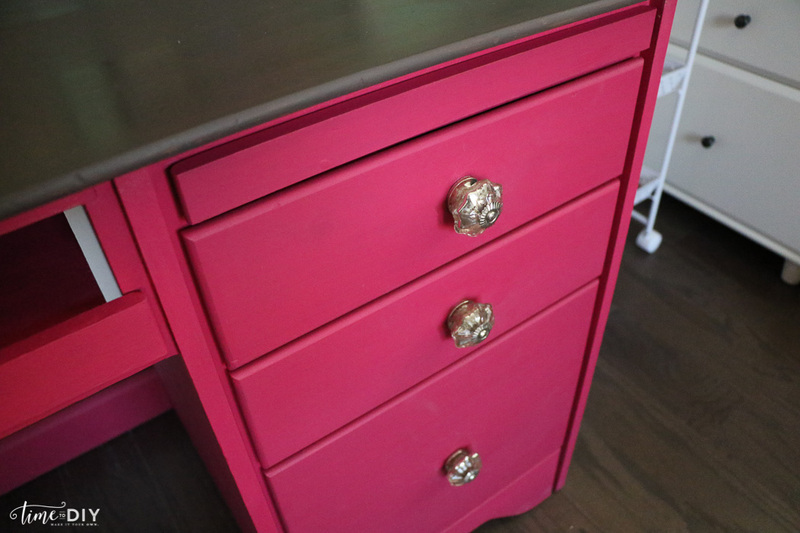 I replaced the knobs with some mercury glass numbers from Anthropology and it was all ready for my new craft closet! 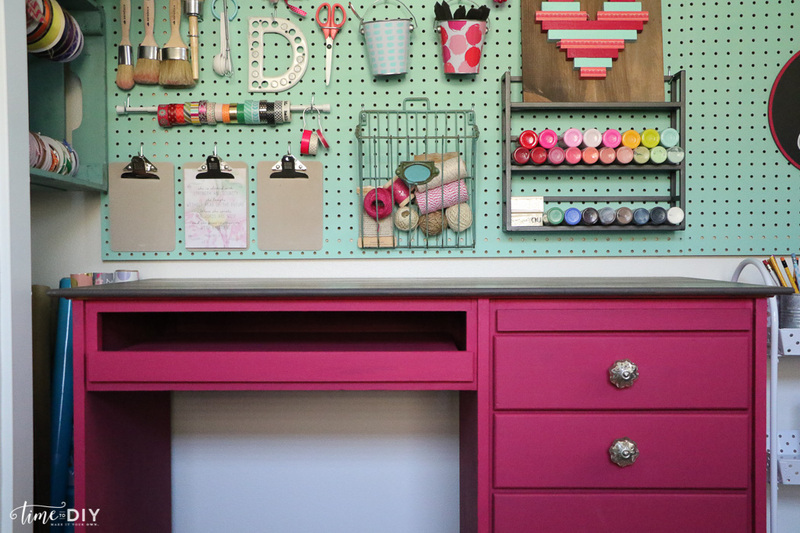 Here is a sneak peek of my closet/craft space makeover, and I have since posted the full reveal here. 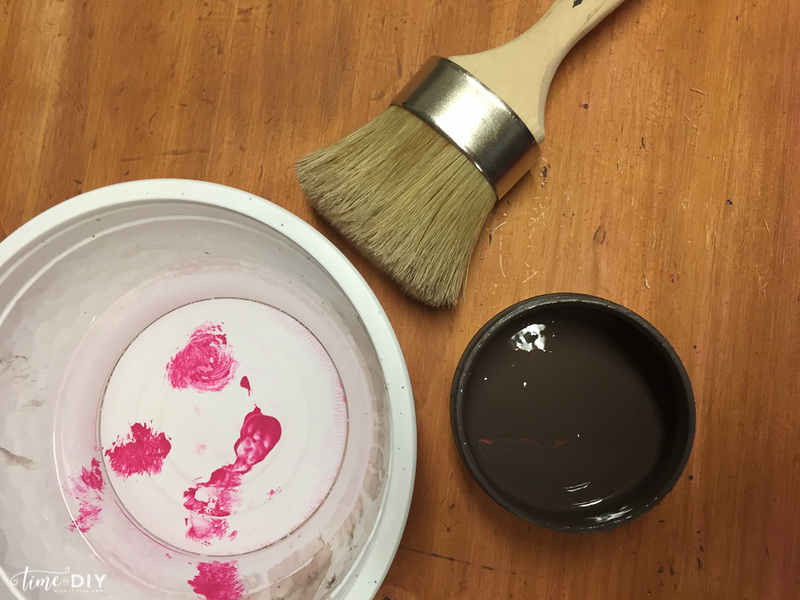 It’s pretty crazy what you can do with a little BB Frosch chalk paint powder!